YouTubeTab fans are frantically searching for the drink. Tab lovers are scrambling to get their hands on the cult-favourite diet soda. A major Tab bottler and distributor, Coca-Cola Bottling Company Consolidated, discontinued Tab in parts of its 14-state territory in recent months. Fans of the drink have made websites and Facebook pages to celebrate Tab, with more than 1,300 people signing a petition to save the beverage. Fans of Tab are scrambling to get their hands on the soda. The diet soda’s cult following has struggled to find stores stocking the drink in recent months after a major bottler, Coca-Cola Bottling Company Consolidated, discontinued Tab in parts of its 14-state territory, The New York Times reported. The Times spoke with obsessive fans of the drink who travelled across state lines and paid high prices online to get their Tab fix. 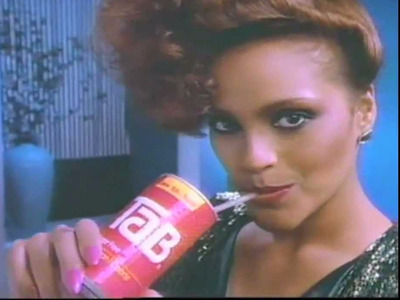 Fans of the drink – which peaked in popularity in the early 1980s – have made websites and Facebook pages to celebrate Tab, with more than 1,300 people signing a petition to save the beverage. One person told The Times they paid someone to drive 90 miles to the nearest store selling Tab. Others have networks of Tab-loving friends who alert each other when new shipments come in. Calvin Boyd told The Times one of his friends secured shipments of Tab to a local Publix from a store with a steady supply in a different state. Some customers have been taking their anger out on Coca-Cola online, though the beverage giant told Business Insider that the drink has not been discontinued.